We hope you enjoyed part 1 of the Best Of 2009. 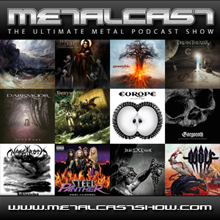 As said before, two episodes are made to cover what we thought were the best bands of the past year. If band x or y isn’t represented, it doesn’t mean we didn’t find them worthy. We probably already played them in previous episodes. Best Of means what we think were the best bands the past year. But don’t worry about variety, because it’s all there, two episodes long. Enjoy part 2 and don’t hesitate to leave your feedback and let us know your list. Here’s to 2010! Cheers! really love the show from California! You should have a webcam during the podcast. It sounds like you guys (and girls) are always having fun. oh wow this is the 1st time I’ve heard of this band called Heaven has wept. Sounds like a very epic band. i’ll have to get a hold of their albums. ohhh While Heaven Wept my mistake! Really liked the Best of Metal 2009 I and II. Amorphis is one of my all time favorite bands. And that Nargaroth song was really cheerful, I liked it 😆 All the other picks were great metal, like usual :headbang Keep up the great work guys! A lot of awesome picks here, although I’m disappointed by the Dream Theater pick. Should’ve included “a nightmare to remember” or “the count of tuscany,” length be damned. Anyway thanks for playing some awesome stuff I’ve never heard before (the reason I come here! ).